Among a myriad of technological advances, it can often be difficult to discern between simple novelties and innovative, groundbreaking creations. With regard to home use, this dilemma is especially relevant since personal products are typically purchased out of leisure and sheer necessity. Yet, every so often something comes along that becomes the standard for it’s undeniably clear difference in cost and convenience. Residential VoIP (Voice over Internet Protocol), also referred to as VoIP Phone, Digital Phone, Internet Phone or Broadband Phone service, is a way of making regular phone calls over a broadband high speed internet connection instead of a regular telephone line, and can be used to replace your existing home phone service. Many providers of this service have fixed, cheap phone plans as low as 5 dollars per month. This essentially eliminates the traditional worry of “going over” on minutes, paying for surcharges, and/or concerning oneself with long-distance calls. Although there are dedicated pieces of equipment for VoIP calling, residential VoIP service providers in many cases will supply adapters which enable your existing phone for this technology. A great deal of service providers even offer the option of keeping your number should you decide to switch. Fortunately, there are many companies with a hand in this service, and as such, there are plenty of options and points of comparison. Last month, Cisco Systems projected in it’s annual VNI (Virtual Networking Index) that Internet use will quadruple to about 3.4 billion users by the year 2016. As this number increases, so will the market for new and cutting edge services. Already emerging in the telecommunications market, VoIP is estimated to go from 560 million users in 2011, to 928 million in 2016 – a 60% increase worldwide. There is certainly a buzz around VoIP, not to mention a growing attraction to it’s cost and abundance of features, slating it to be the fastest growing residential internet service. 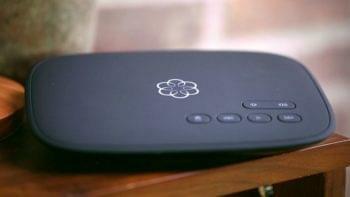 At this rate, residential VoIP stands to be the future of communications in a perpetually expanding market. Of course, it’s only natural to ask yourself what the disadvantages might be in making a complete transition to VoIP, leaving your old phone service(s) in the dust. One concern is certainly the ability to fax, which is typically possible, although not always supported. Software such as RingCentral Fax facilitates both the receipt and forwarding of faxes in PDF format to e-mail. There is also the option of connecting the fax machine directly to the existing analog phone line, completely bypassing your VoIP system. Another clear disadvantage is the obvious result of a power outage, which would render your VoIP service unusable since it depends on a high speed internet connection (DSL, cable, etc). Furthermore, as VoIP service differs from a home phone in that emergency calls made from a landline are directed to a specific call center in a geographic area or community. 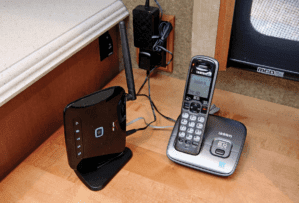 Although residential users will predominantly be utilizing VoIP in their homes, the portability of VoIP phones and peripherals proves to be a challenge in the event of a remote emergency. The FCC is currently working to address these issues by imposing requirements in the interest of public safety. These include having VoIP providers transmit all 911 calls along with the caller’s registered physical location to the appropriate emergency services call center or local emergency authority. Naturally, with any emerging technology, it is common that 'the kinks need to be ironed out'. 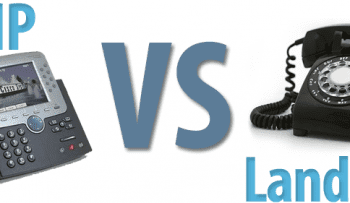 As VoIP is progressing rapidly, it is highly likely that all disadvantages of a VoIP phone service compared with that a traditional phone service will be addressed through the proper enhancements. Until then, it is probably best to smoothly transition into using VoIP in the home exclusively as developments make it appropriate to do so.